If you travel frequently for business or leisure, then you may have become aware of something called Global Entry. The first time I heard of it I was standing in the Immigration line in the Miami airport (aka the seventh circle of hell to those who travel through it frequently). Since you're not allowed to use your cell phones in the Immigration line, I was doing a lot of people watching. One thing I noticed was the business men and women who would roll up to the kiosks across the room marked "Global Entry". They'd stand there for a few minutes and then take a piece of paper from the machine, roll over to a separate line and pass through Immigration faster than the line would move up a person. Naturally, being the impatient person I am, that piqued my interests. When I (finally) was able to use my phone again, I decided to research what Global Entry actually was. I was happy to find out that it was not only something my husband and I qualified for, but it wasn't that expensive either. A few weeks later I had filled out all of the forms and made an appointment at the closest office (which happened to be in my local airport) and the next trip we took we were one of the ones rolling up to the kiosks while everyone in line looked on in envy. At first the $100 per person fee may seem a bit much to some. For a family that can add up. 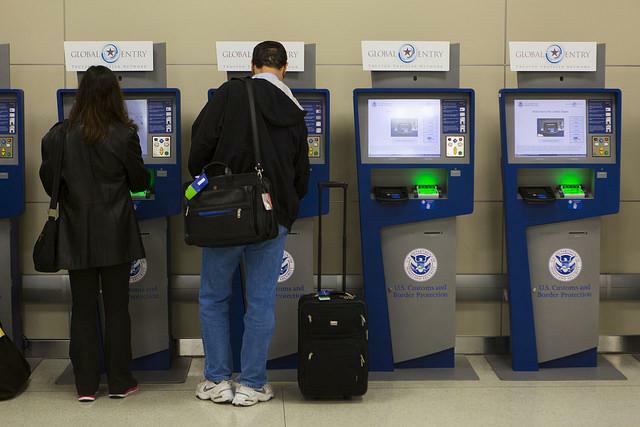 But, your Global Entry membership lasts for 5 years before you have to renew, so if you break it down it actually comes out to $20 a year per person. When you look at it like that, you'll see the true value behind it. Just look below at all the things that $20 a year will get you when you travel. Heck, even if you only fly once, that $20 could be worth every penny. 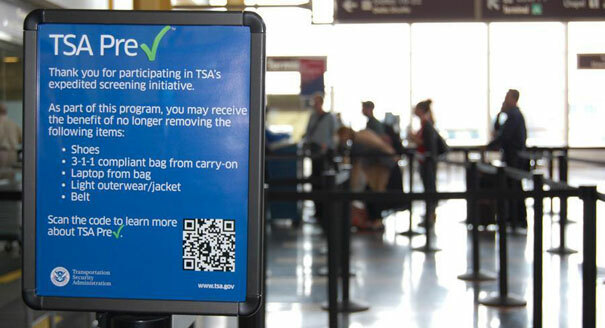 Have you heard the news that TSA will be ending their random free passes to the Pre-Check line? Maybe you were once one of the lucky travelers to look down at your boarding ticket and see that big check mark on the top right corner which meant you had access to the security "fast pass" line. Not anymore though. Now you have to pay for the privilege to pass through the expedited screenings. But if you're a Global Entry member, you'll get the TSA Pre-Check included, which will save you a ton of time at the airport. On my last visit to Orlando airport, I checked-in online and printed my boarding pass at home. We walked straight from our car to the security line and made it through and to our gate within ten minutes. In Orlando! The regular security line was out into the main concourse. But our line had only a dozen people in it and moved quickly because nobody had to take off shoes or unpack bags. I'm not just talking about TSA Pre-Check. With Global Entry the lines are shorter everywhere. A few months back we returned to Orlando International Airport from Jamaica, one major tourist destination to another. When we arrived it was early evening and the airport was packed. I'd never seen it that bad before. We exited the plane and quickly made our way to the Immigration area where there was all but two people ahead of us in line for the Global Entry kiosks (two pilots from another airline). We were through the line in no time while everyone else from our airline was just trying to find room to even get into one of the other lines. Luckily we had no checked bags so we moved straight through the Customs where again, there was a line snaking around baggage claim. But we followed the signs for the Global Entry line and found ourselves right behind those pilots again. From plane to car it took us all of twenty minutes, most of that time spent waiting for the airport shuttle tram to arrive and take us to the main terminal. You know that moment on an international flight when the flight attendant comes around and hands out the blue and white US Customs and Immigration cards for you to fill out? Then you have to fiddle with your tray table and search through your bag to find a pen (which is almost always at the very bottom... why is that?). Now you're bumping elbows with the person next to you as you both try to fill out the form to the best of your ability, but you can't remember your passport number off of the top of your head so now you're back to reaching for your bag so you can find the booklet and copy the number. Guess what? With Global Entry you can skip all of this. Why? Because the kiosk has all of that information stored for you, and when you arrive and scan your passport it already knows everything. So now when the flight attendant hands these out I tell her I don't need one and go back to watching re-runs of Friends while sipping my Dunkin Donut's coffee (thank you JetBlue!!). The good news is that even there is no age requirements or restrictions for Global Entry membership. This is perfect for families, especially with smaller children who may not do well standing in long line or having to take off their shoes in the security line. 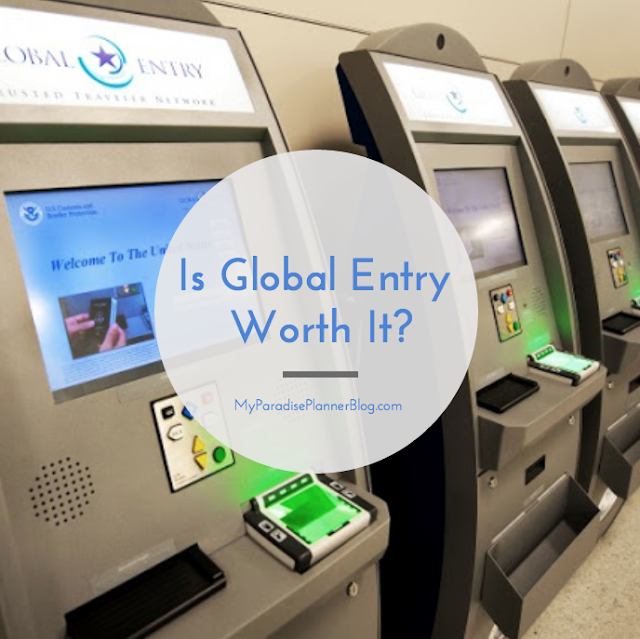 The only thing to keep in mind is that if the parents have Global Entry the kids must have Global Entry to pass through together and vice versa. Children can't go through either security lines on their own. 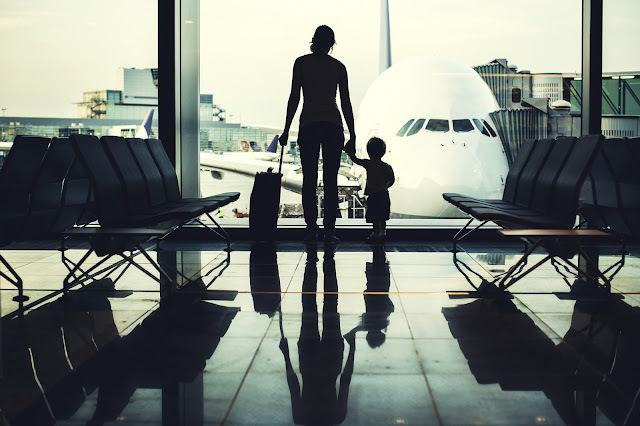 So if you're traveling as a family, you'll need to get Global Entry for everyone in your family. Also, the fee is a standard $100 no matter how old the applicant is. 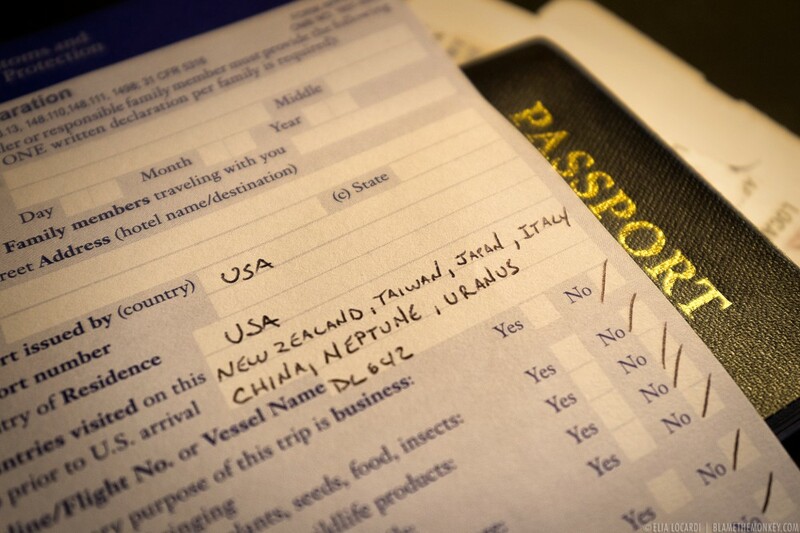 If you're like me, you've had fears of losing your passport when traveling. When we travel I check for my passport over a dozen times to make sure it's where I always safely stow it. But if I did ever lose that beautiful booklet of mine, I feel a little bit better knowing that I also carry my Trusted Traveler ID card with me. This will help prove I am a US citizen if my passport is lost abroad, and will help expedite my return home. Another great thing about this is that it meets the new law that requires travelers who live in New York, Louisiana, Minnesota and New Hampshire (as well as the U.S. territory of American Samoa) to have a higher form of government ID with their state issued drivers license in order to board even domestic commercial flights. 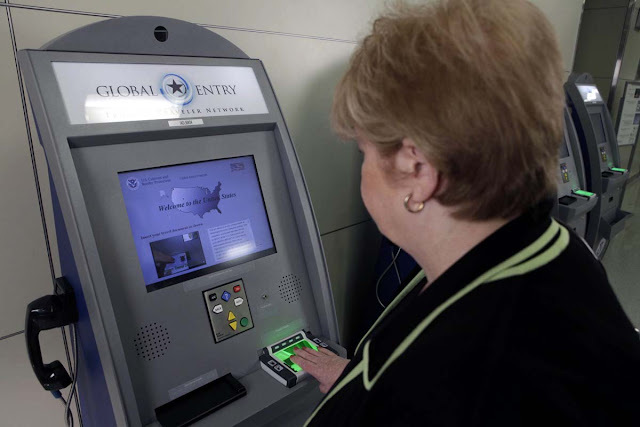 Global Entry cards and passports will now work in place of those drivers license. *Note: On the back side of the card (highlighted in red above) is your PASSID, which is also known as your Trusted Traveler Number. This number can be entered when booking your airline tickets to make sure you have access to TSA Pre-Check. Put this number under "Known Traveler Number" when booking flights, or if there is no line with that name put it under the "Redress Number" line and it will register your ticket as a TSA Pre-Check ticket. You can also give the information to the agent at the ticket counter at the airport too. All you need to do walk up the open kiosk, insert your passport as requested, wait for it to prompt you to put your fingers on the fingerprint pad, then once you're done it will ask you a few questions (normally on the Customs/Immigration form) and then take your photo. From there it prints a paper with your photo and information. You bring your passport with that paper to the Boarder Patrol agent waiting at the desk and they stamp it and your passport and you're good to go to the designated Global Entry Customs line (after collecting checked bags if you have any). There they collect the paper and see you on your way. As easy as it sounds, some may still fear getting Global Entry because it's a fairly independent program. The airport can be a pretty confusing (and scary) place to be truly on your own. But you are not alone once you're a "Trusted Traveler". There are dedicated Boarder Patrol officers who will come help you if you have questions or problems with the kiosks. 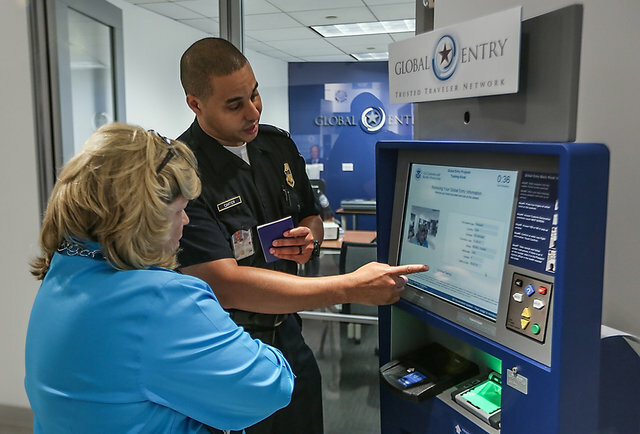 Visit http://www.cbp.gov/travel/trusted-traveler-programs/global-entry for the full information, pricing, and application process. Sandals Overwater Bungalows To Open 2016! #VisitHawaii With Paradise Planner Jackie!